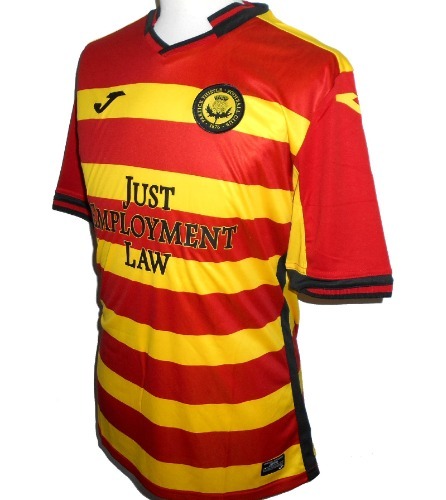 This is an official Joma home football shirt for Scottish club Partick Thistle FC for the 2018/19 season. New with tags in Joma packaging. - Red and yellow hoops with black trim. - See our own stock photos of the actual item (size M shown in photos). - Adult EU -Medium. Chest 40", length 28". - Adult EU-Large. Chest 42", length 29". - Adult EU-XL (UK-Large). Chest 44", length 30".